The sun sometimes causes more hazardous driving conditions than rainstorms, as the glare distorts and creates illusions and blind spots. To make sure you’re armed against this, investing in a decent pair of driving sunglasses is essential. But it isn’t as simple as heading to your local high street store and picking up a stylish pair on the cheap; there’s some serious factors that you need to consider. 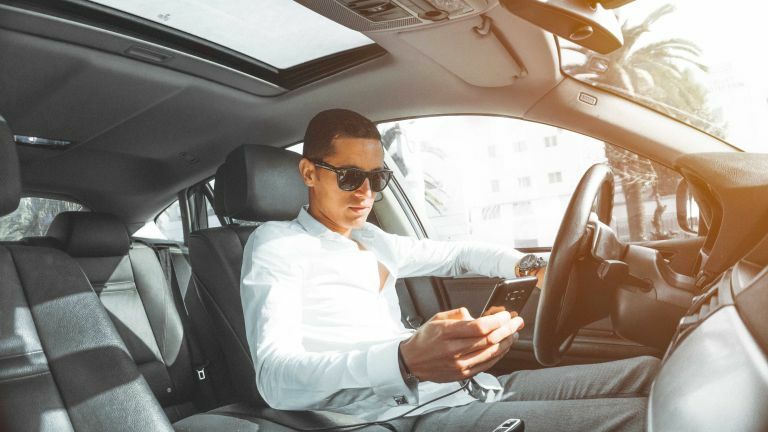 Sunglasses don’t necessarily have to be specified as suitable for driving, but there are certain attributes that are just a no-no when it comes to buying a decent pair for wearing behind the wheel. You should avoid brightly coloured lenses – pinks and blues in particular – as these distort the colours of traffic lights and signs. Instead, darker colours like greys and browns are more suitable; our top pick in this list of the best driving sunglasses, the Maui Jim Wiki Wiki Sunglasses, feature a brown lens, which is ideal for driving. Second, you’ll need to consider the frame of your sunglasses. Victoria Beckham-esque sunglasses that are about three sizes bigger than your actual face aren’t practical, as they interfere with your peripheral vision. Instead, you should be looking out for slim frames, such as those of the Ray-Ban Clubmaster Sunglasses, which feature in our list. Look out for the tint level of your sunglasses, too. Mid level lenses are the best all-rounders while lighter lenses are good for duller conditions. The darkest lenses should only be used in the bright light of high altitude, mountainous driving. You should aim to get polarised lenses – they're the best sunglasses for reducing glare but often come at a premium price. With all that in mind, we’ve come up with a list of the best driving sunglasses to help you remain safe behind the wheel in sunny weather. Heading to retailers such as John Lewis and Amazon, we’ve factored in superior style and designer names so you can really benefit from the best of the best. This stylish offering from popular designer, Maui Jim, combines the ideal lens with a universal frame, creating the perfect pair of driving sunglasses for men and women. Due to the warm bronze colour of the lens, the designer suggests that these sunglasses are ideal for everyday use and changing light conditions – great if the weather can’t make its mind up. The lenses are polarised, too, so you won’t have to worry about the glare caused by light reflecting off wet surfaces or other cars on the road. Grey is one of the best colours for driving, so make sure you pick out the right lens if you’ve fallen for these sunglasses. Featuring the popular Ray-Ban oval style, these are classically stylish as well as being practical for the road. The grey lens will maintain colour integrity while you’re behind the wheel, while the flash coating reflects glare for better vision in sunny conditions. These sunglasses have been designed with a minimalist frame, so you don’t have to worry about your vision peripheral being obscured, too. If you’re looking for a pair of driving sunglasses that encapsulate masculinity, you can’t really go wrong with this offering from French designer Cartier. As a tribute to Brazilian pilot, Mr Alberto Santos-Dumont, they’re designed in the classic aviator style, and boast a leather nose and gold-plated frames for added luxury. Featuring brown lenses, they’re the ideal colour for driving, and they’re faded, too, so your eyes are shaded when you’re looking out of the windscreen but you can still clearly see the dashboard through the lighter bottom half. These durable sunglasses have been endorsed by the US Army, so you know right away that you’re investing in a decent pair – unfortunately you’re going to have to keep dreaming about that pilot’s licence, no matter how popular they are with the US air force. With their classic Aviator style, these sunglasses are a great alternative to our second pick, although you will have to compromise on polarisation. Even so, the dark gray lenses are the ideal match for bright driving conditions, and they shouldn’t distort colour either. With a strong, steel alloy frame, they may even survive if you accidentally sit on them. With their universal styling, these sunglasses are a great choice if you’re looking to buy a pair for the car. No matter who’s driving, the person taking the wheel can benefit from a comfortable wearable that’ll give them better vision on the road. Make sure you stick to the brown and grey lenses, as blue and pink can distort colour, and you wouldn’t want to mistake a red signal for an amber! While they aren’t polarised, their stylishness more than makes up for it, if you’re willing to compromise. While we can’t quite meet your expectations if you prefer a pair of oversized sunglasses, we can meet you in the middle with these bold Ray-Bans. With a thick black frame, they’re wacky enough to make a statement, but they’re still practical enough for you to wear while driving without them getting in the way of your peripheral vision. With their dark grey faded lenses, they won’t distort colour, and you’ll be able to see the dashboard clearly though the bottom lighter half of the lens.